After a heavy night of drinking at a Halloween party a group of friends decides to call it a night but on their way home they break into an old abandoned toy and costume shop to have some fun. Little do they know their night of partying is going to come to an even swifter end then they thought. This fast paced slasher film was written and directed by Daniel Benedict, some may recognise him as the talented man behind the short fan film 'FALL OF GRAYSKULL'. He has written this really well and just throws us into the action without the need for a big build up to our unlucky Halloween party friends. 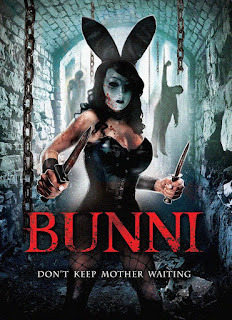 Of course 'BUNNI' being a slasher film it has to have its fair share of kills and blood spilling scenes. Sure some of them aren't knew to us horror fans but the old knife across the throat is always an effective way of dispatching someone. The killer has a great look and is certainly memorable for many reasons, if not only for her attire but the actresses ability to bring little nods to other slasher greats in her movements. The main actress (Mercedez Varble) who plays Paige has the ability to go on and become a scream queen if she so desires. 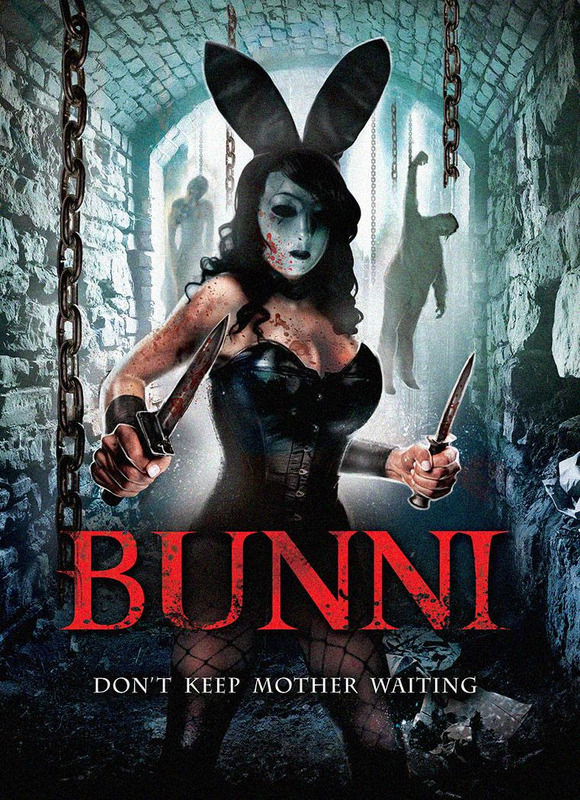 This is fairly short at only 70 minutes long leaving you wanting more and with a scene happening within the credits could we see a 'BUNNI 2' in the future? Time will tell. One of only a handful of female killer slasher films but a memorable one.